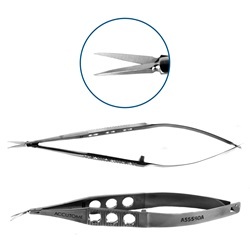 Curved forward 10mm blades, extra-thin, sharp tips. Flat, 3-hole squeeze handle. 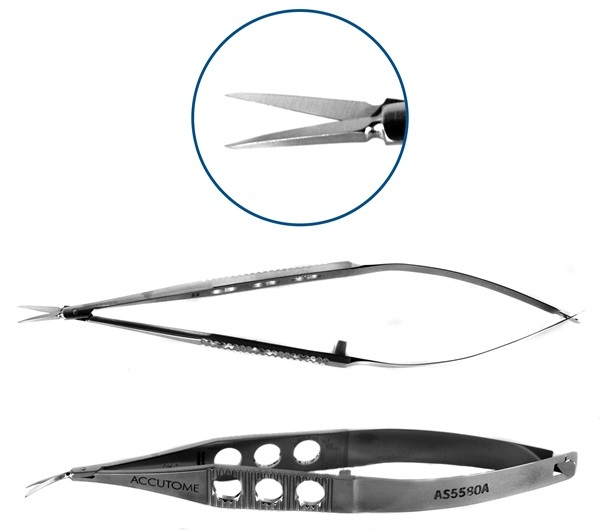 Overall length: 112mm.